You could buy Maison du Chocolat's $1,200 "Easter Atelier," or you could make one of these chocolaty Easter treats. For Easter candy lovers with refined taste, there is now an chocolate Easter bunny tableau available from New York’s Maison du Chocolat. The “Easter Atelier” depicts four chocolate bunny rabbits (made with milk, white and dark chocolate) preparing pastries in an entirely chocolate kitchen. The edible scene is about a foot wide and ten inches high. Unlike cheapo drug store bunnies, these are filled with ganache, so the whole thing weighs in at eleven pounds. It looks fantastic, and it can be yours for $1,200. If that's more than you were planning to spend on your basket, you could make one of these much more affordable chocolaty Easter treats. 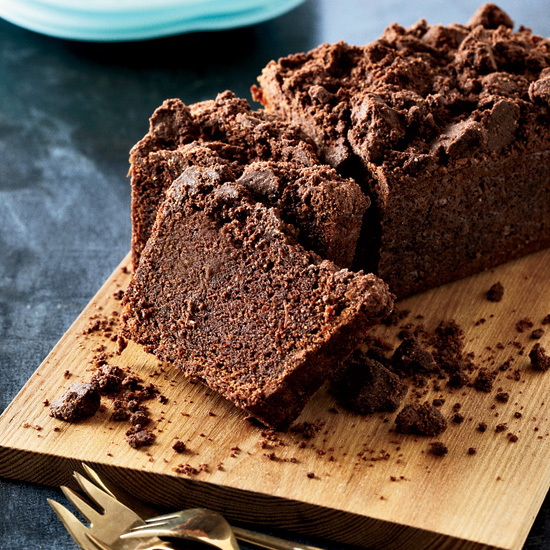 Adding cocoa to carrot cake batter results in this fantastic, chocolate crumb-topped loaf. These bittersweet truffles are coated with a variety of flavorings, including blends of Chinese and Mexican spices. This super-rich dessert contains chocolate whipped cream between layers of bittersweet chocolate cake topped with a fudgy chocolate glaze. This delicious tower is made with crispy chocolate cookies sandwiched with chocolate pastry cream and whipped cream. These crispy (feuilletine flakes), crunchy (corn flakes), nutty (toasted hazelnuts and pistachios) and chewy (golden raisins) mounds with just the right amount of salt are incredibly complex—and dangerously good. The maple syrup in this tart lightens the chocolate flavor and creates an ethereal custard to hold buttery macadamias.